First of all, I just want to say THANK YOU! 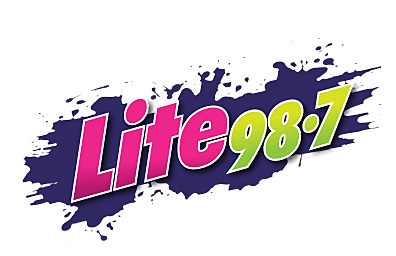 Thank you to all my listeners, followers, and fans of Lite 98.7. I've enjoyed this journey with you. It started at the end of November 2014, when I moved from Port Huron, Michigan to Utica, New York, and I was scared, alone, but really excited to start this radio adventure. 1 - Concerts at Saranac: I've seen some great shows at the brewery. And there's just something about that atmosphere and that crowd that has made every show such a great experience. Even one that had to be delayed because of the rain and storms. 2 - Vacationing in the Adirondacks: I'm going to miss all the camping, kayaking, and fresh mountain air. The Adirondacks are heaven on Earth, and I'm definitely going to miss the adventures. 3 - All the Delicious Food: Seriously. I could go on and on and on. And I'm not just talking about our CNY-foods like chicken riggies and tomato pie and all that. I'm going to miss burgers at the Copper Moose and Jamo's. I'm going to miss those giant sandwiches from O'Baby's, the hats and broccoli from Georgio's, and so much more. Central New Yorkers know how to cook, that's for sure! 4 - The Utica Comets: As a huge hockey fan that's heading out west, it just isn't the same. I'm going to miss spending time at the AUD and cheering on our AHL team. 5 - The Landscape: I'm going to miss the scenic drives. Just driving the 20-minute stretch to the radio station was always beautiful. I love the hills, valleys, and just the beautiful landscape that I've been spoiled with the last four years. 6 - The Community Involvement: I'll never get over how caring this community is. Whether it's the Heart Radiothon or "Go Red for Women" or even a GoFundMe page that's been set up for a family that's lost everything in a fire, this community comes together for each cause. The generosity is overwhelming, and absolutely beautiful. 7 - New York Wines: I've spent the last few years trying different wines from our state, and do we have some GREAT wines. I'm going to be bummed that I can't go to the store and pick up a bottle of Thousand Island Winery's "Wellesley Island White" or one of the "Redneck Wines" from Torrey Ridge Winery. I wonder if I'll find any wines from New York during my travels?? Just kidding. I'm definitely not going to miss that. It's pretty annoying, honestly. 9 - Did I Mention the Good Food? Really, though. Good thing I'm taking my fiance (a Central New York native) with me, because I don't think I could make this trip if I couldn't at least have chicken riggies once in a while. 10 - The People: Central New Yorkers are a different kind of people. They're tough, they're fun, and they are so full of life! I've never met a more collective group of people that really live by the idea of "Work hard, play hard." And that's a great way to live. Between the kindness, the dedication, everything! I'm definitely going to miss the people. BONUS: I'm really going to miss my little buddies - The Red Pandas at the Utica Zoo! I'll miss getting to visit them whenever I wanted to. I'll have to look up cute red panda videos on YouTube for the time being. Again, thank you so much for listening, following, and being a part of this journey. My fiance and I are heading out west on a new adventure. But we KNOW we'll definitely come back and visit this area as much as we can.